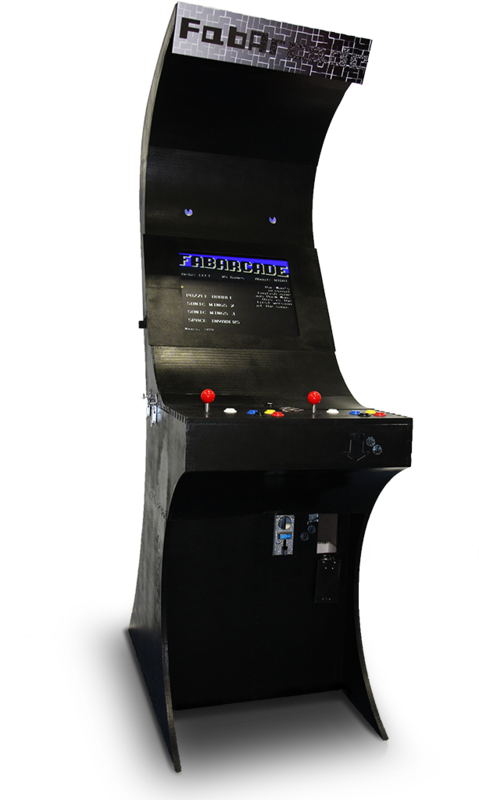 FabArcade is the first fully open-source video arcade gaming station that can be built completely at any Fab Lab using digital tools. It’s a fully functioning video arcade that lets you relive those cool retro video games from the 80’s. Finally play Galaga the way it was meant to be played, with a professional joystick and arcade buttons—even including a real coin slot for US quarters (or whichever currency you prefer)! :) Plus, the FabArcade also runs additional games we developed for you!